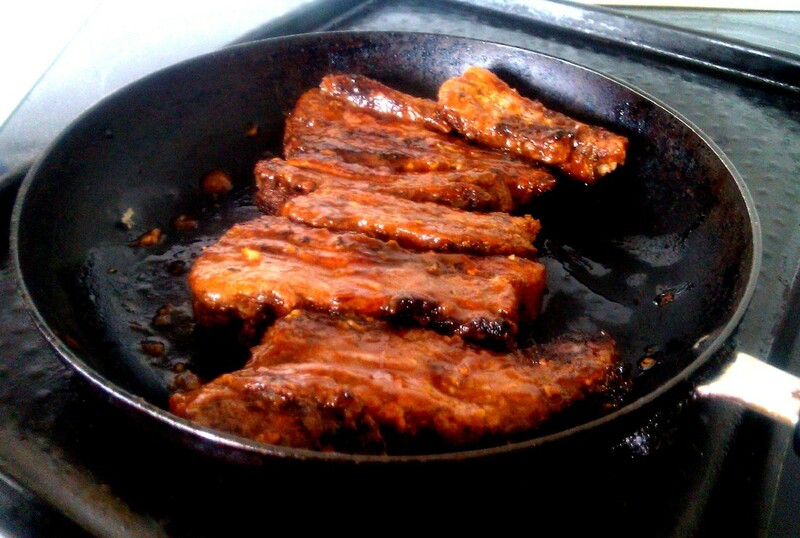 Jerk Pork is one of my absolute favorite dishes on earth. When made the authentic Jamaican way; which means on a charcoal grill sprinkled with pimiento berries, or the more original way-on a bed of pimiento wood it's simply phenomenal. 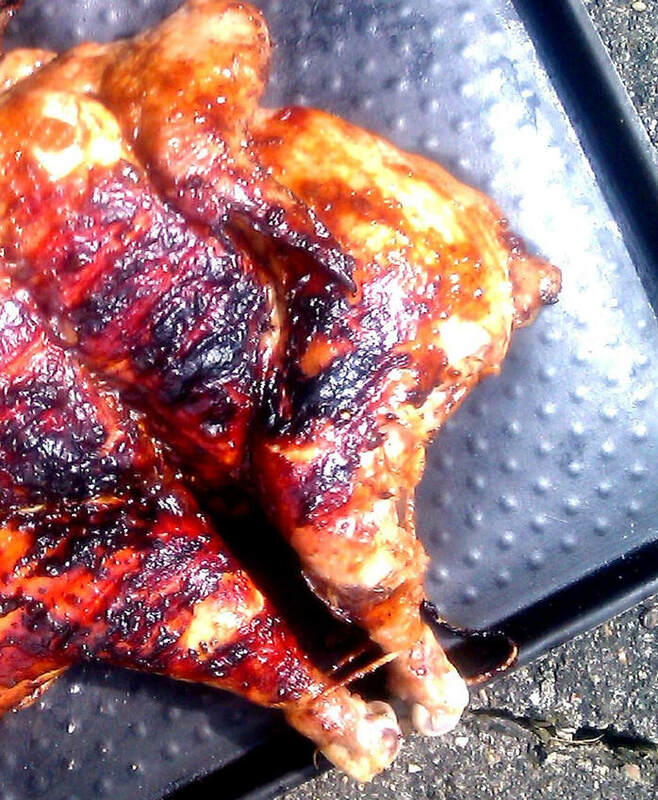 Outside of Jamaica people nearly always refer to Jerk done with Chicken. 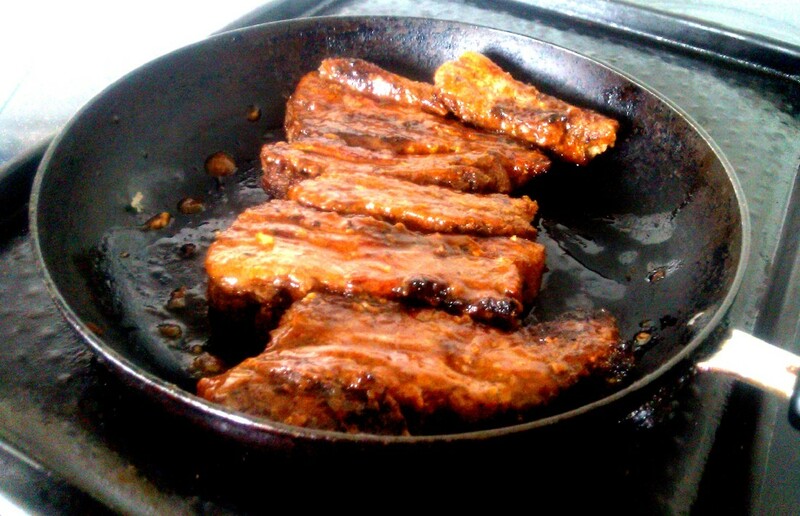 But Jerk Pork is the original meat for Jerk, used as a way of preserving pork in the hot weather before fridges were invented. I don't know why Jerk Chicken became more famous outside of the Island because I think Jerk pork is much tastier. 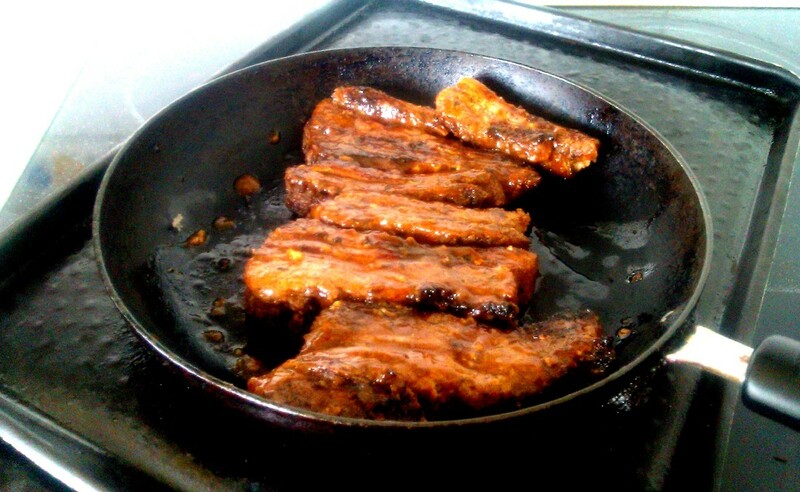 The seasoning really favors pork and so does the technique of cooking. 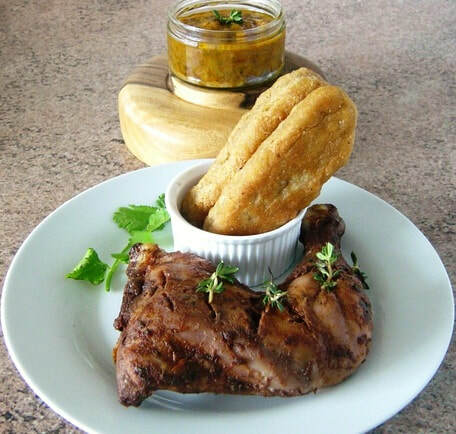 In Jamaica all parts of the pork are used in this delicious original street food dish. 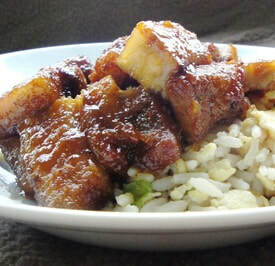 But I love belly of pork, it has so much more depth of flavor than most other cuts. This recipe just doesn't work for an oven, but if you use an oven...oh what am I talking about. Just don't use an oven use a barbecue grill. 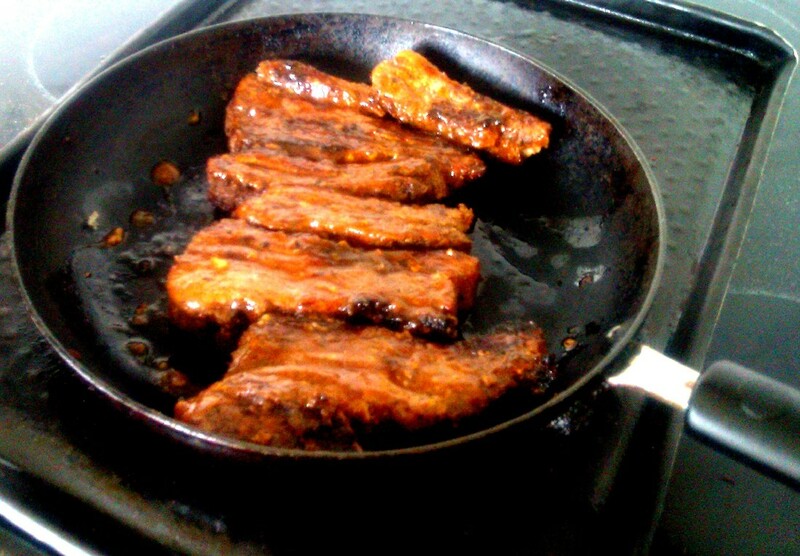 Remove the pork from the marinade, but keep the leftover marinade to make a sauce. Once the barbecue is hot and the flames have disappeared, sprinkle the coals with up to 40 grams of Pimiento berries. 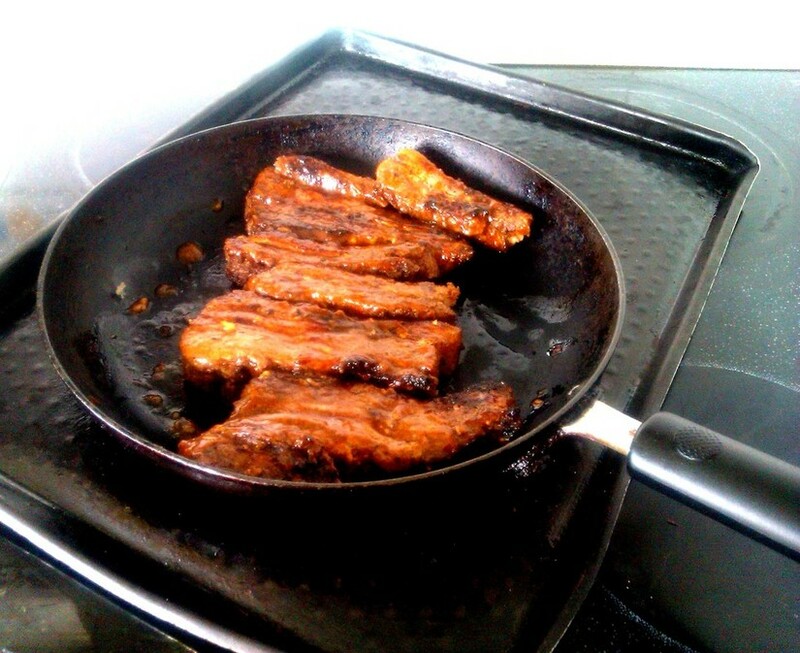 Place the pork onto the grill. 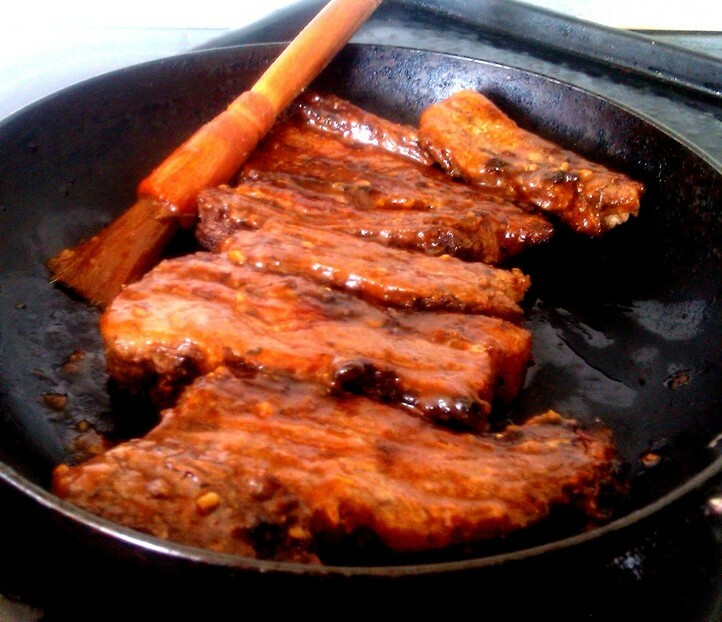 Turn the pork every 10-15 minutes to ensure even cooking. 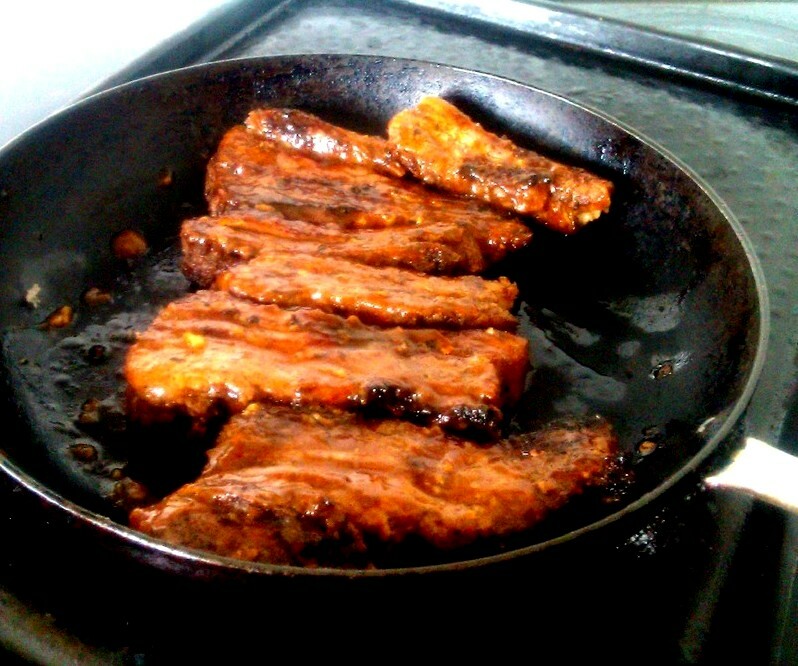 Pork belly slices will take approximately 50 minutes to cook in total depending on thickness and on barbecue, a whole pork belly will take longer. ​Add 1/4 cup of Heinz tomato ketchup and the leftover marinade, stir and boil on high til the sauce is reduced and thickened to your desired consistency. Check for seasoning (salt and pepper) and add according to your taste but it shouldn't need extra seasoning as there should be enough from the marinade. About 20 minutes before the end of cooking time. 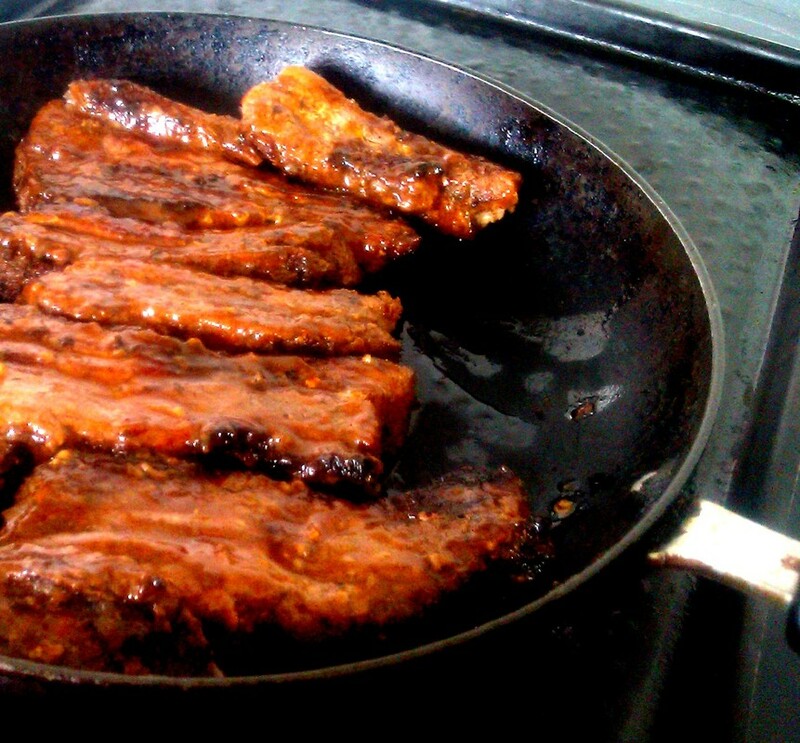 Brush this sauce onto the pork to prevent drying out and to enhance the flavor.